A love of entertainment is part of human nature. From concerts, movies, and reading to travel and video games, every one of us is partial to a particular pastime that entertains us — whether that’s helping us pass the hours, satisfying our desire for thrills, curing boredom, etc. So it only makes sense that we as consumers would desire a fusion of the entertainment and retail spaces. “Retailtainment,” as this is now known, is the fulfillment of that desire. And it’s fast gaining ground as a new norm in the industry. We included retailtainment (sometimes called “experiential marketing”) as one of our trends and predictions for 2017 — and in this post, we’ll give you some examples of businesses who are pretty much killing it when it comes to providing their customers with unique retailtainment experiences. We’ll also give you some ideas on implementing similar elements in the retailtainment strategy for your brick and mortar store(s). Read on for the goods! 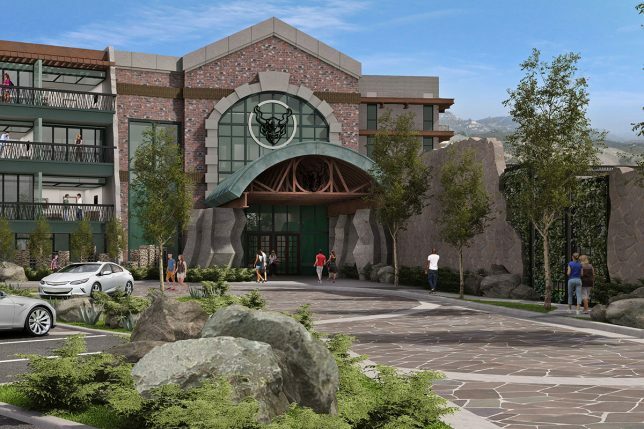 In August 2016, American craft beer titan Stone Brewing announced plans to open a first-of-its-kind “brewery hotel” in San Diego in the first quarter of 2018. The idea behind the space is to provide beer lovers with a unique, completely immersive experience unavailable anywhere else. The hotel will offer special-release beers, “unique casks,” three onsite bars, a complimentary beer at the “bar-style lobby check-in,” and growler delivery service to each of its 99 guestrooms. Guests will also enjoy a state-of-the-art fitness center, a rooftop garden, and walking trails across the hotel’s 13-acre property. This is next-level retailtainment, with a deep commitment to the customer experience. So what can brick and mortar retailers learn here? Structure your retailtainment experience around a specific focus. Unless you’re a megamall or a behemoth retailer with endless amounts of money to throw at retailtainment, you’re better off targeting your efforts in one area. Electronics store? Host a virtual-reality experience showcasing some of your products. Bike shop? Rig up a few of your bikes in-store, and allow customers to actually get on and try them — maybe with the addition of software such as the CompuTrainer that allows them to really give the bikes a go. Bookstore? Consider hiring an in-store barista to enhance the shopping experience. The salient point here is not to spread yourself too thin. Your customers will appreciate it more if you provide them with a smaller but better-executed retailtainment experience. In December 2015, Target opened a 16,000-square-foot holiday pop-up store called Target Wonderland. The space featured 10 “spectacles,” including a jumbo Etch-a-Sketch, and it provided a retailtainment experience aimed at families. In addition to giving shoppers a festive place to go and enjoy some holiday fun, Target Wonderland upped the retailtainment level by giving each person a custom lanyard and digital RFID key to carry around while they browsed. When they found something they liked, they just used those keys to scan the product tags — and the items were automatically added to their personal digital shopping lists. 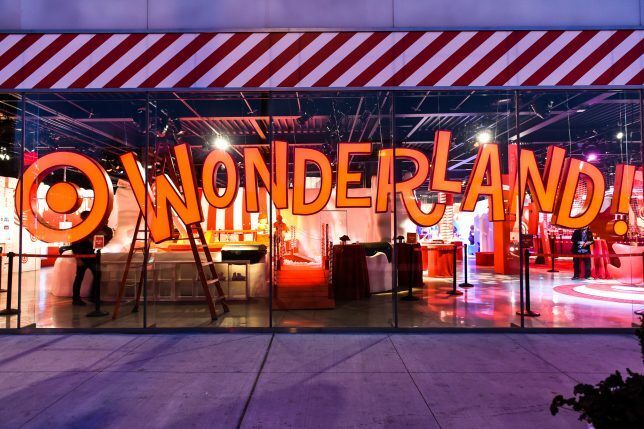 The ease of the shopping journey, combined with the grand nature of the “Wonderland” experience, resulted in a seriously memorable event for Target. Our tip here: if you don’t have the bandwidth to operate a year-round retailtainment strategy or experience, go holiday- or event-specific. This will, of course, cut down on overall cost and effort — but if you really take the time to curate a great retailtainment experience and make sure you get the word out to ensure attendance, you’ll still make an impression on customers, increase your brand awareness, and possibly even boost your sales numbers. In late 2016, Barnes & Noble opened four new concept stores dedicated to exploring the bookseller’s new retailtainment direction — one each in Edina, Minnesota; Eastchester, New York; Folsom, California; and Loudoun County, Virginia. 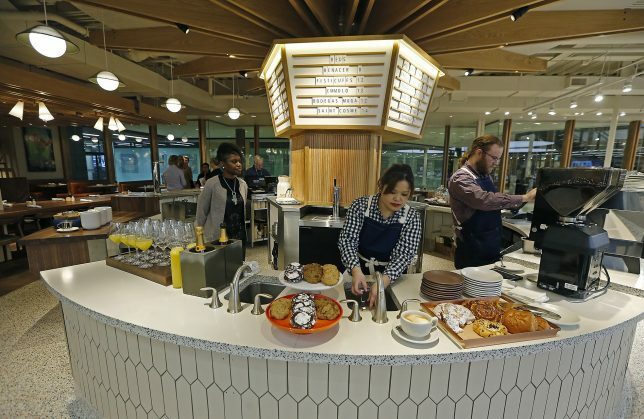 The retailtainment experience involves a full-service restaurant and bar, with a combination of traditional and lounge seating and power stations for devices situated across the entire space. This “sit-and-stay” idea is what brick and mortar retailers can take from Barnes & Noble’s retailtainment concept. 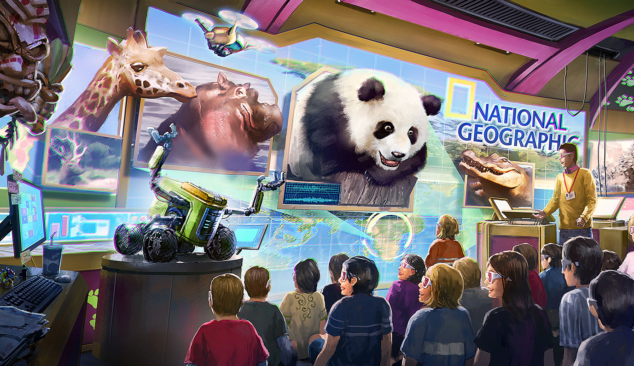 National Geographic and iP2Entertainment are in the process of developing two “museum retail” locations in China. The National Geographic-branded “Museum Retail” locations will fuse education with retail, and a portion of the proceeds will go to the National Geographic Society’s nonprofit work. It’s this last part that we think brick and mortar retailers can take to heart. If you have the means, incorporate a charity element into your retailtainment experience. Customers will be more likely to get involved if they feel like they’re contributing to a good cause. We hope these retailtainment examples have shed some light on the kinds of experiences consumers are looking for. Have you come across any compelling retailtainment concepts recently? Let us know in the comments! The post 4 Stores Providing Unique Retailtainment Experiences — and What Brick and Mortar Retailers Can Learn From Them appeared first on Vend Retail Blog.